A special discounted unlimited Metro pass for college students could expand across the D.C. area this fall. The Metro Board will vote this week on extending the "University Pass" pilot program. 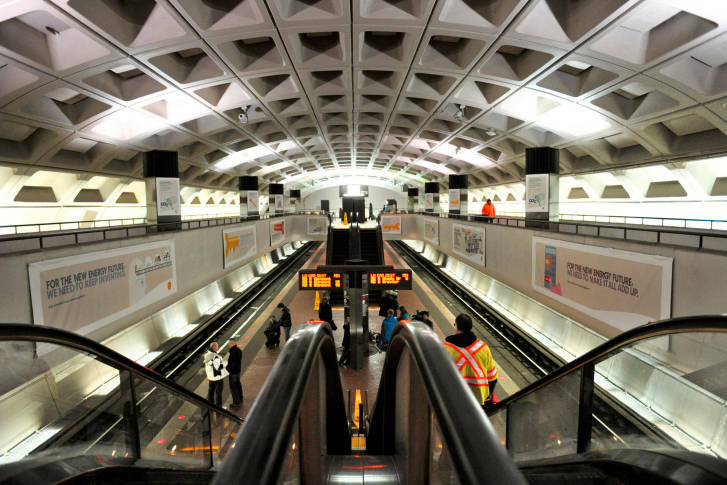 WASHINGTON — A special discounted unlimited Metro pass for college students could expand across the D.C. area this fall. The Metro Board is set to vote Thursday to extend the University Pass pilot program through June 2018 with the hope more schools will sign on. Documents made available ahead of the meeting show American University students have taken more than 1 million rides on Metro trains and buses since the program launched last fall. Most of the trips are outside of rush hour, when Metro had hoped the passes would increase ridership. All American University students, including law and graduate students, now pay $130 per semester for the pass as part of their required fees. The school held a student referendum before adopting the pass, and students voted approximately 85 percent to 15 percent in favor of it. Metro staff said they hope to expand the pass to other local colleges this fall, which could include the University of Maryland, Howard University, Georgetown University, George Washington University and Prince George’s Community College. Not all of those schools would necessarily adopt the semester-long unlimited pass, though. “Some universities have inquired about a weekend-only version of the U Pass, while others have inquired about extending the pass privileges to other local bus operators in addition to Metrobus,” the documents prepared for the Metro Board said. By considering the extension of the pilot program, Metro can more easily continue to change the details as negotiations with the schools continue. Metro hopes to use the usage data from the longer period to figure out whether the $1 per day price is set correctly before a decision next spring on whether to make the pass permanent. The budget for the fiscal year that begins in July already includes the extension of the pass program, including $2.7 million in revenue from American University students. The Metro Board is also expected Thursday to give final approval to the full budget, which includes fare increases and service cuts.